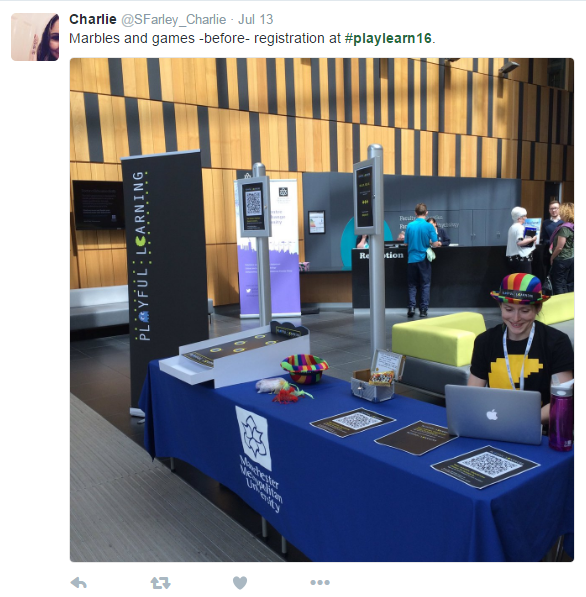 The conference took place in Manchester over 3 days in July, the first of its kind and designed to bring together a group of people who are interested in how play can enhance learning and teaching. 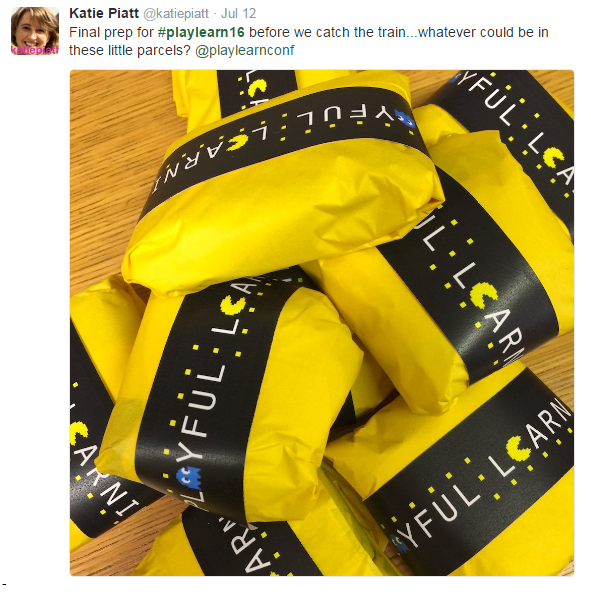 Three members of the eLearning team (Katie Piatt, Fiona MacNeill and myself Marion Curdy) were invited to develop a game that would run throughout the 3 days of the conference. 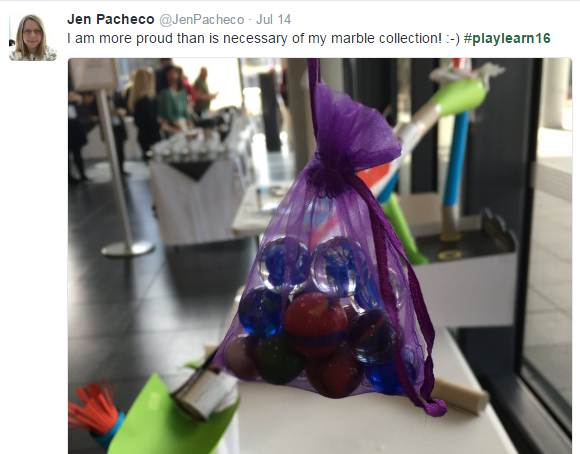 We devised a series of games and challenges, all of which gave players the opportunity to win and trade marbles. The games were designed to enable players to experience the feelings associated with play eg. risk, fear, awkward, excitement. The first challenge, the marble run, was a pre-registration game, delegates had to play the game to win marbles before moving onto registration. The marble run was a traditional roll the ball type of game, delegates were given five marbles to roll and the board had a series of holes, each of differing values into which they had to try and get their marbles to fall. Their score then converted into marbles which could be used for trading and further play during the 3 days. The next ‘marble’ game took place just before the keynote, this time it was a pass the parcel game designed to be a conference ice breaker encouraging delegates to get to know each other alongside experiencing the emotions of play. A parcel was sent out to each row of seats and the music began, when the music stopped and the parcel unwrapped there was a challenge rather than a prize for the person to complete. Some beneficial, others less so! But each involved their marbles. 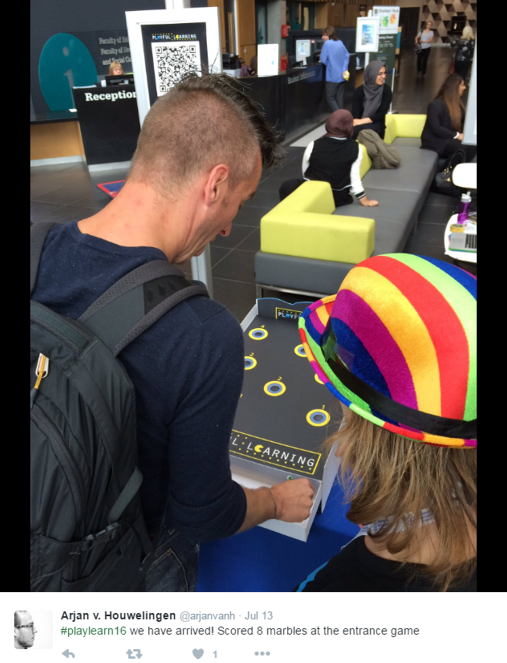 Delegates were also invited to sign up for ‘secret marble missions’ throughout the conference. 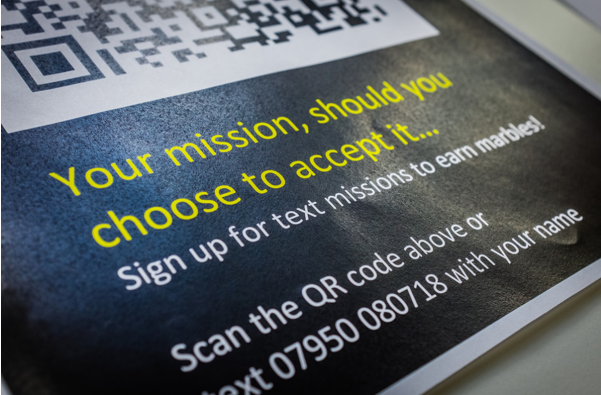 Missions we’re sent as texts at random times and were designed to encourage delegates to network whilst again experiencing emotions of play. 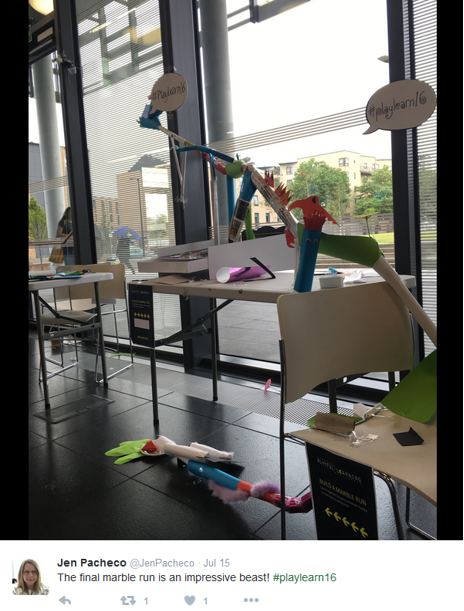 And a marbles wouldn’t be complete without a marble run right?, so for 3 days a marble run was being constructed! And finally ‘the last marble’ challenge designed to explore the risk taking elements of game playing…Double or Nothing. 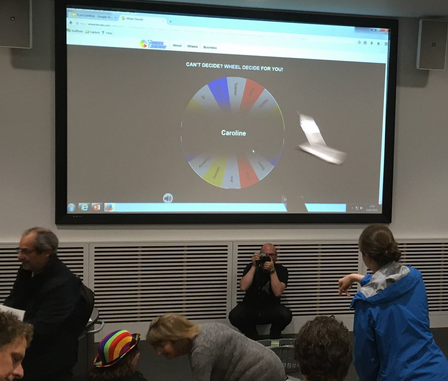 Those willing to risk all of their marbles had their names added to the ‘wheel of fortune’ for the finale Grand Marble (and all the other marbles). Lose and you lose all your marbles, win and you take the Grand Marble and all the other marbles! 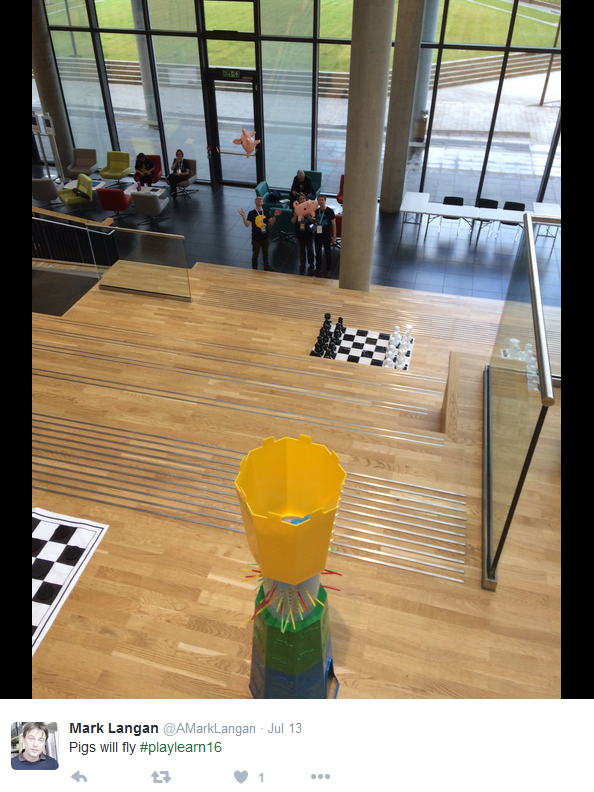 There were games aplenty throughout the venue including some giant versions of old favorites like pass the pigs and kerplunk! There were also the escape room experiences, the Board Game Cafe demonstrations, different sporting activities including Neon Badminton, and the Treasure Hunt on the last morning. Great conference, looking forward to next year!